Welcome TO Whole Hog NLR! LeBron James does basketball. Paul McCartney does music. And just like them, we do it because we love it, but also just like them we take it seriously. After competing nationally for more than 30 years, we opened our doors to the public in 2007. From the beginning you've told us over and over, "This is a completely different experience." Well, that's no accident. At Whole Hog Cafe North Little Rock, you'll see the owners, boots on the ground, EVERY DAY to make sure it never stops feeling that way. We still use the original sauces and recipes. 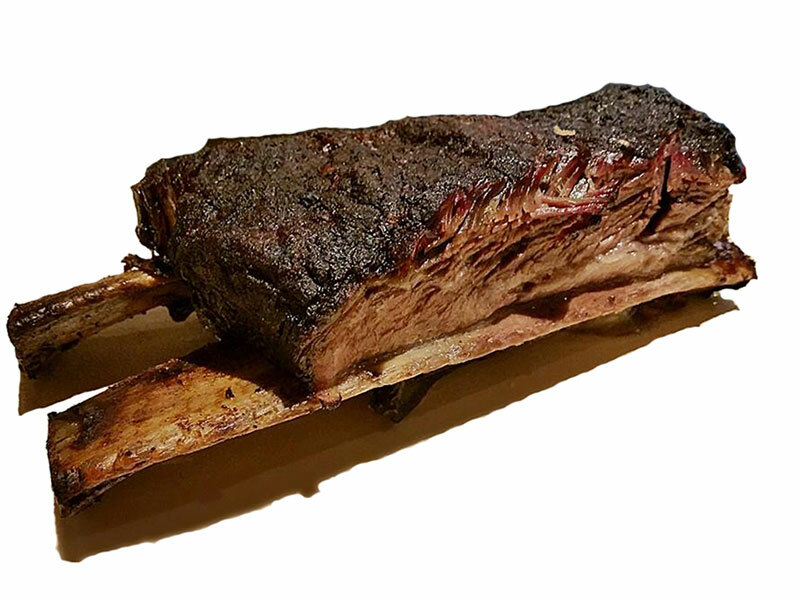 We offer a sensational dry-rubbed rib daily, and beef ribs every Tuesday. Our meat is meticulously hand-rubbed, cured and slow-smoked - seriously. It's also no mistake that you continue to see the same faces here day after day, year after year. We all love what we do and we genuinely like one another. We cook and serve with style, character and passion. We're a unique culture here, a family. We believe in 4 "R's": Respect, Responsiveness, Responsibility and Resilience. Our family attitude extends to you, our customers, as well as our vendor partners and the community partners we routinely support - schools, military organizations, charities, festivals and benefits of every strip. Giving back is why we're here. Giving back is who we are. Smoking real, unpolished, authentic barbecue every day is just what we do. And, you guessed it, we take that very seriously. 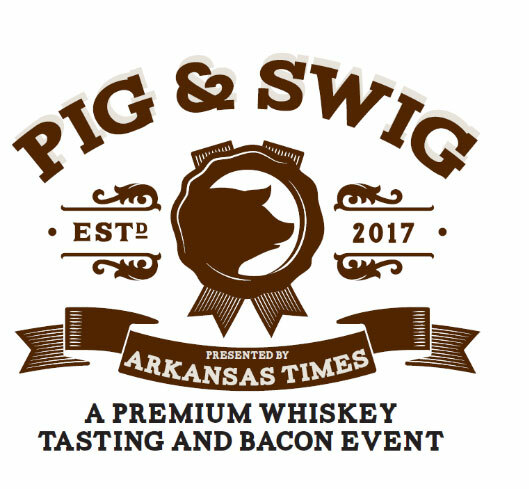 Come See Us at Pig & Swig on June 15th! Click here to watch our owner, Rich Cosgrove, demonstrate how to make a delicious pork slider and pair it with some fine whiskey. 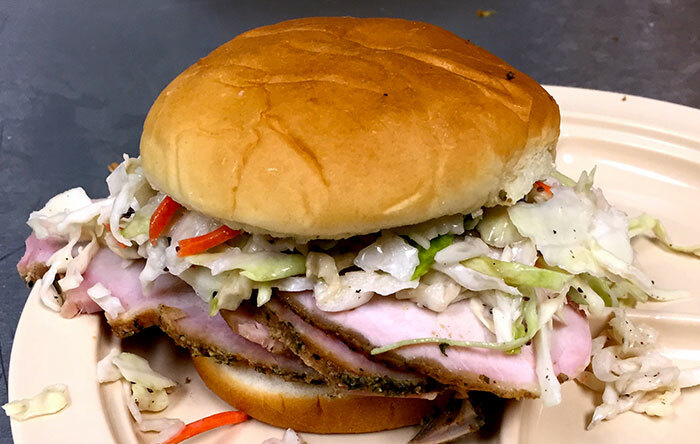 Then come see us at the Pig & Swig festival on Friday, June 15th and try it out yourself! Get more information and purchase tickets here. 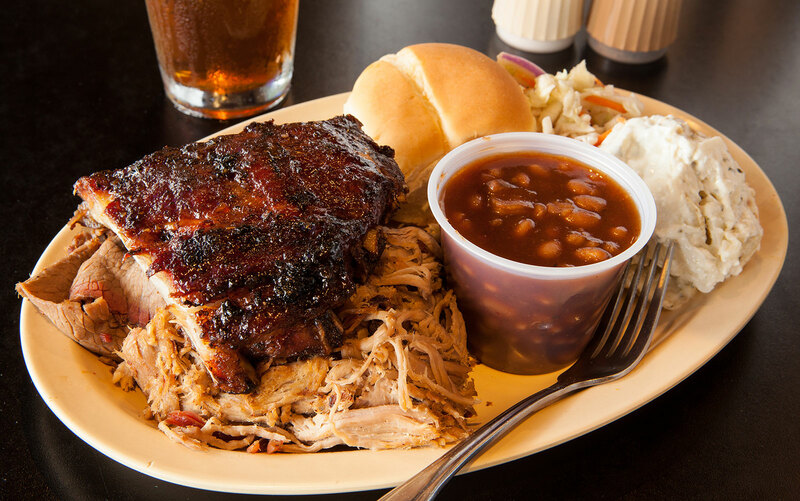 We talk about our ribs a lot, but don't forget about the other tasty items on our menu! 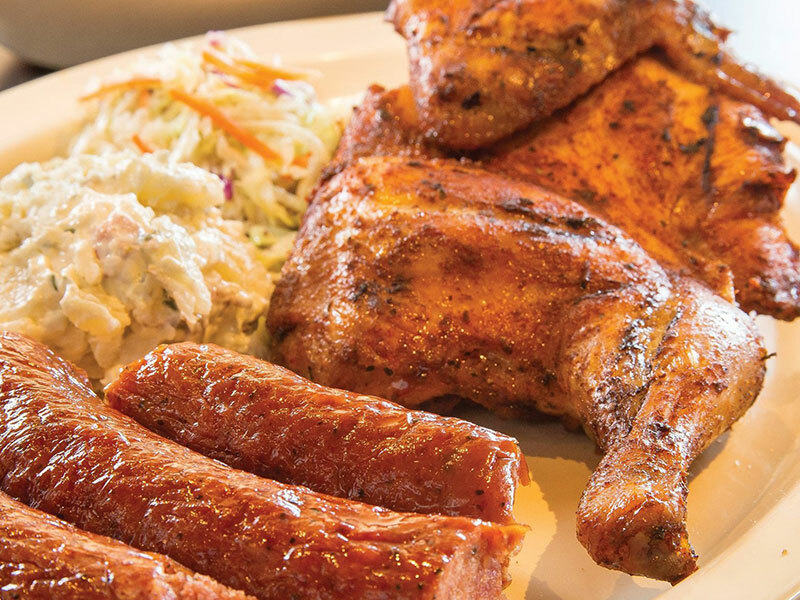 Try our smoked half chickens or the to-die-for sausage - we promise you won't be disappointed. Want more options? 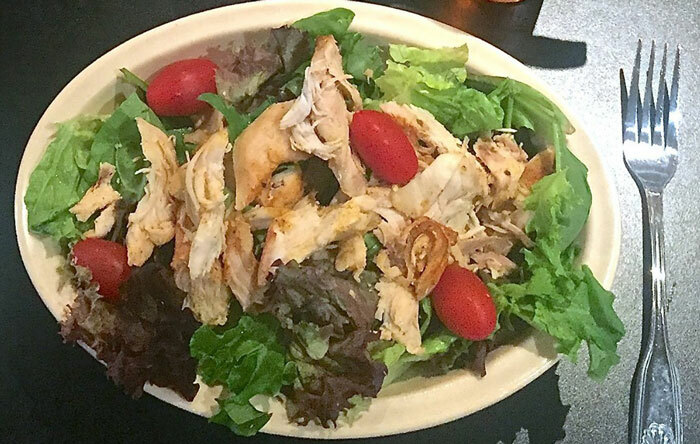 View our full menu here. If you like ribs, you gotta come down to Whole Hog on any Tuesday and try our giant beef ribs! Pitmaster Rozchea cooks up these monstrous pieces of meat using a recipe by Aaron Franklin. Available on Tuesdays only, our beef ribs are a customer favorite and always sell out. Hurry in and snag some!